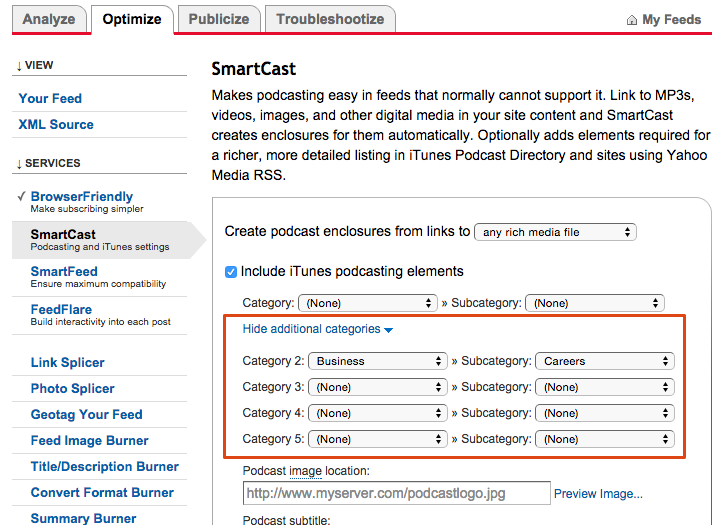 In order to submit your RSS feed to iTunes, you must choose a category that reflects what your podcast is about. This way, listeners that are interested in that subject area can find you easily in iTunes. Go to your Content Settings page, and choose your podcast’s category. 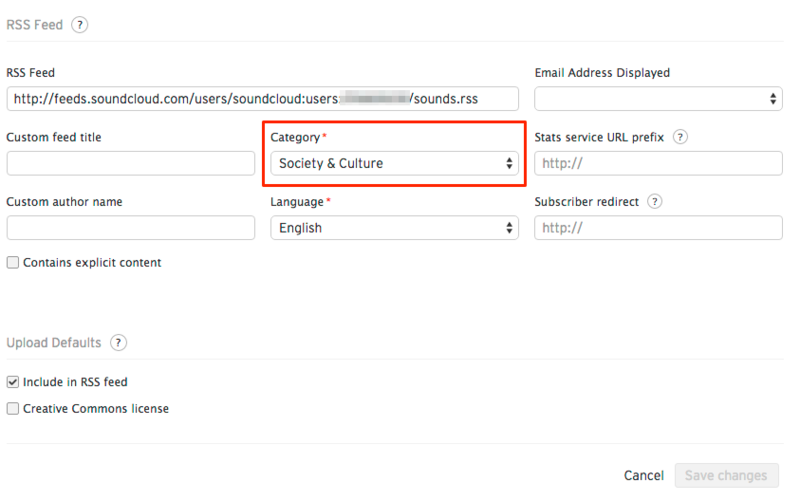 It is not possible to choose a subcategory, or a second category for your podcast through SoundCloud. If you are looking to do this, we recommend using Feedburner. Feedburner is a RSS feed management tool that allows you to customize and optimize various fields and tags of your RSS feed. If you’re looking for more customizable settings, you can use Feedburner with your SoundCloud RSS feed.